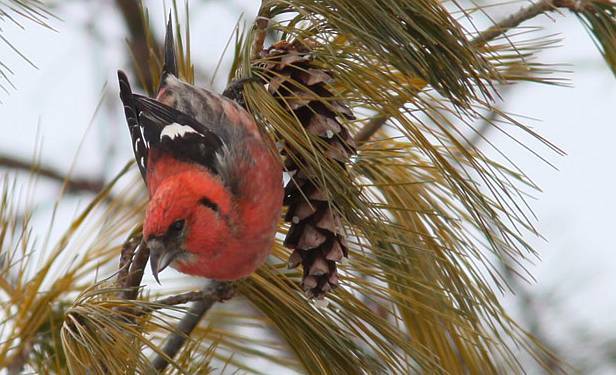 Tuesday, February 3: A flock of White-winged Crossbills continues to visit the conifer plantation at Holiday Beach Conservation Area. Karen Cedar saw 30 there on February 1. Pine Siskins are frequenting niger feeders in many areas and the nature centre feeders regularly attract a dozen or two every day. 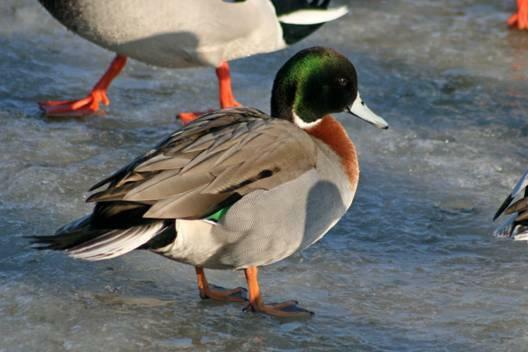 Theresa LeMire sent us a photo of a male Mallard X Northern Pintail hybrid taken at Lakeview Marina (see first photo below). 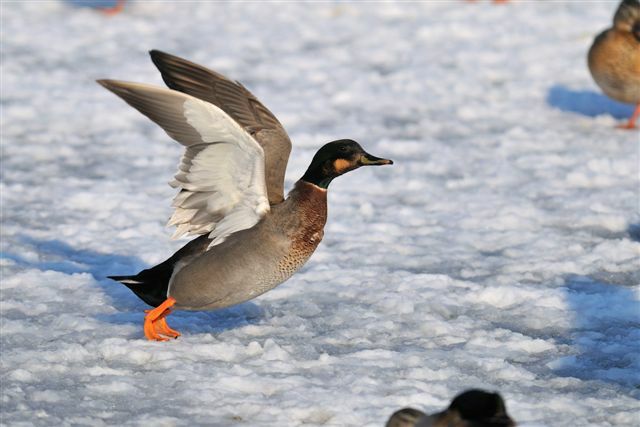 A Mallard X Gadwall hybrid is also present among the large group of Mallards that frequent the marina and Little River (see second photo by Jerry Peltier).